A special afternoon of music and art especially for the nurturers in our lives! Bring someone who has nurtured you, or someone that you nurture. Maybe you nurture each other. Maybe you nurture yourself. 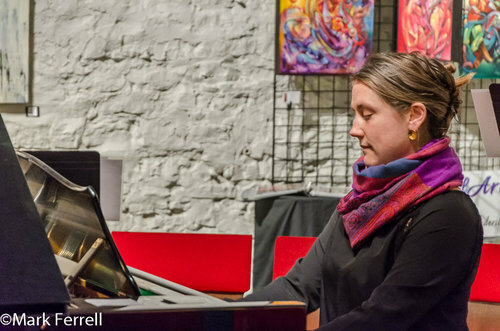 Jennifer Levenhagen - featured artist exhibiting on the library's Art Wall in May - will perform a piano recital: Nurturing for Nurturers. The recital is part of her Listening Room experience. The concert will conclude with a reception to visit her exhibit in the library's Miron Fireside room. Light refreshments will be served. All programs at the Elisha D. Smith Public Library are free and for everyone.Those with special needs are encouraged to call the library office at 920.967.3662 within 24 hours of an event to assure that specific needs with regards to parking, building and meeting room accessibility are met.